Caption slip reads: "Photographer: Mitchell. Date: 1958-06-05. Reporter: McMahon. Assignment: Burns trial. 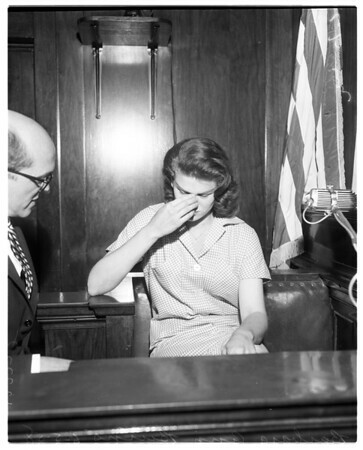 42-48: L to R: Defense attorney Harry Weiss and defendant Barbara Ann Burns, on trial for using narcotics".